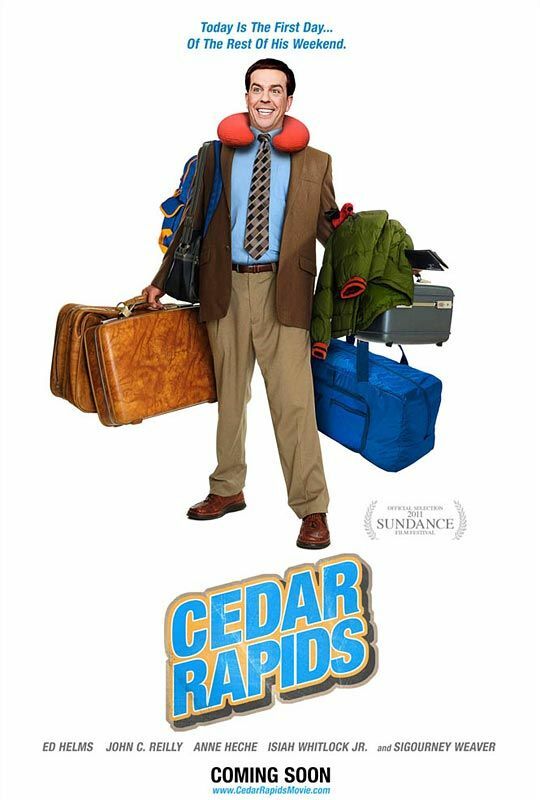 Fox Searchlight has released the first trailer for director Miguel Arteta’s (Youth in Revolt) Cedar Rapids. Premiering at next month’s Sundance Film Festival and getting released nationally February 11, the film is loaded with an all star cast featuring Ed Helms, John C. Reilly, Sigourney Weaver, Anne Heche, Stephen Root, Kurtwood Smith, Alia Shawkat, Mike O’Malley, Rob Corddry, and Seth Morris. While the premise of a small-town Wisconsin man who travels to the big city to represent his company at a regional insurance conference is nothing groundbreaking, I thought Youth in Revolt was very underrated and think Arteta is a director to watch. Also, the trailer for Cedar Rapids has a line that absolutely killed me. I won’t spoil it for you…but if you’re a fan of HBO’s The Wire, you will laugh out loud at the end of the trailer. It’s an awesome moment – especially because of who is saying it. Watch the trailer after the jump. To call insurance agent Tim Lippe (Ed Helms), “naive” is a gross understatement. He’s never left his small hometown. He’s never stayed at a hotel. And he’s never experienced anything like Cedar Rapids, Iowa. Sent to represent his company at the annual insurance convention, Tim is soon distracted by three convention veterans (John C. Reilly, Anne Heche and Isiah Whitlock Jr.) who will show him the ropes and push his boundaries. For a guy who plays everything by the book, this convention will be anything but conventional.